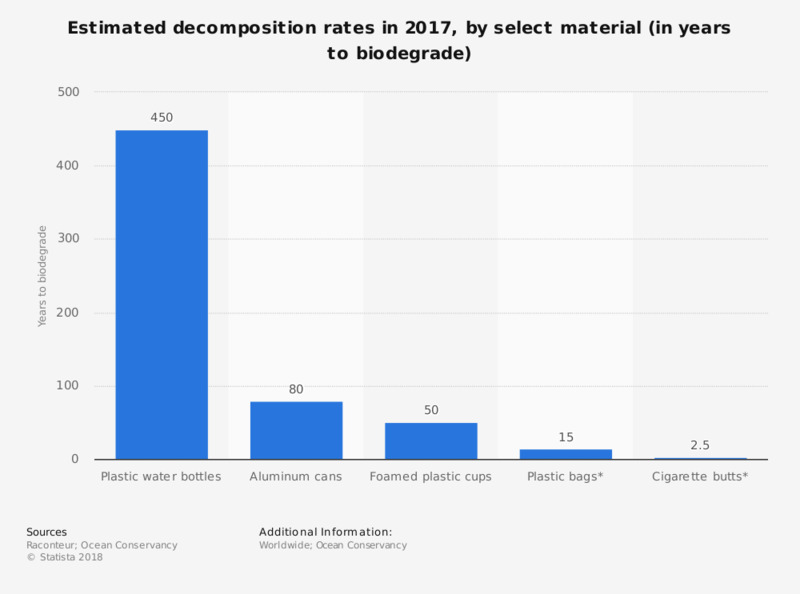 This statistic represents the estimated decomposition rates of select waste materials in 2017. It is estimated that foamed plastic cups take approximately 50 years to biodegrade once they are disposed of. * These figures are originally listed as the following ranges: plastic bags 10-20 years, cigarette butts 1-5 years.